“All the great movements of protest against contempt, segregation and exclusion involve an infinite number of personal acts by individuals, making a small change in the whole by what they learn from each other, and by the way they treat others.” —Theodore Zeldin, from his 1994 classic, An Intimate History of Humanity. I see humanity as a family that has hardly met. I see the meeting of people, bodies, thoughts, emotions or actions as the start of most change. Each link created by a meeting is like a filament, which, if they were all visible, would make the world look as though it is covered with gossamer. Every individual is connected to others, loosely or closely, by a unique combination of filaments, which stretch across the frontiers of space and time. Every individual assembles past loyalties, present needs and visions of the future in a web of different contours, with the help of heterogeneous elements borrowed from other individuals; and this constant give-and-take has been the main stimulus of humanity’s energy. Once people see themselves as influencing one another, they cannot be merely victims: anyone, however modest, then becomes a person capable of making a difference, minute though it might be, to the shape of reality. New attitudes are not promulgated by law, but spread, almost like an infection, from one person to another. The dispute about how to achieve a better life, whether it should be by individual effort or by collective action, has no point any more, because they are two sides of the same coin. It is difficult to do anything without help or inspiration from outside oneself. Individual struggles have simultaneously been collective ones. All the great movements of protest against contempt, segregation and exclusion involve an infinite number of personal acts by individuals, making a small change in the whole by what they learn from each other, and by the way they treat others. To feel isolated is to be unaware of the filaments which link one to the past and to the parts of the globe one may never have seen. The age of discovery has barely begun. The forgoing selection is from pages 465-466 of An Intimate History of Humanity by Theodore Zeldin. 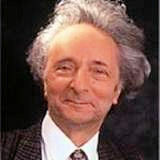 Theodore Zeldin, President of the Oxford Muse Foundation — A Foundation to stimulate courage and invention in personal, professional and cultural life — is an English philosopher, sociologist, historian, writer and public speaker. Zeldin was first known as a historian of France but is today probably most famous internationally as the author of An Intimate History of Humanity (1994), a book which probes the personal preoccupations of people in many different civilisations, both in the past and in the present; it illuminates the way emotions, curiosities, relationships and fears have evolved through the centuries, and how they might have evolved differently. This entry was posted on November 1, 2011 by fjwhite in creative protest, evidence based counterpower, social movements and tagged social change, social justice, Theodore Zeldin.